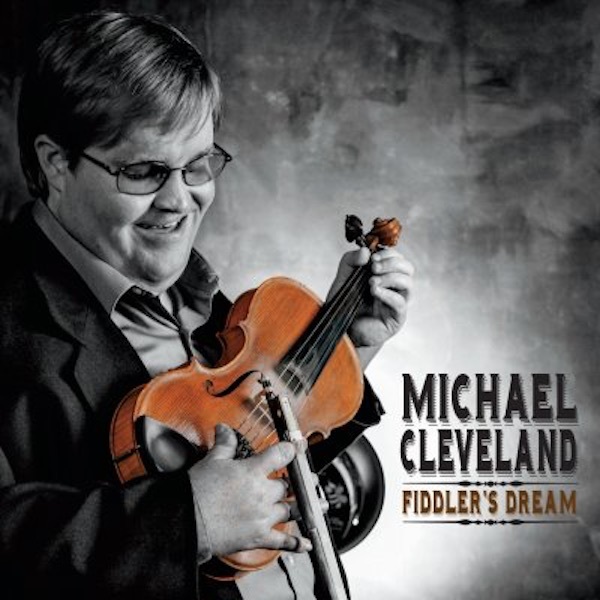 Earlier this month I posted Michael Cleveland’s new album Fiddler’s Dream to be released in early October. Michael’s record company, Compass Records, has just posted a video with Michael talking through some of the inspiration for his new album and commenting on the many artists which are featured on this soon to be released album including Jerry Douglas, Jeff Guernsey, Lloyd Douglas, Andy Statman, Paul Franklin, Vince Gill, Jeff White, Barry Bales, Sam Bush and loads of others. 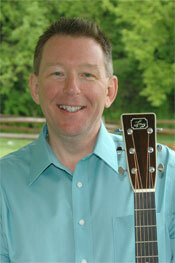 Michael Cleveland notes that he is writing more songs these days some of which feature on his new CD. He is also playing mandolin on the album. Michael Cleveland is one of bluegrass music’s great treasures. He is a 10-time IBMA fiddle player of the year and 2016 nominee, and 4-time Instrumental Group of the Year winner. Cleveland captured the attention of the bluegrass community as a child prodigy who performed on the Grand Ole Opry with Alison Krauss when he was only 13 years old. But he became a viral video sensation this summer with a virtuosic impromptu performance of Jerusalem Ridge that racked up over 6 million views in just a few days. Now mainstream music fans are discovering what the bluegrass community has known for years; Michael Cleveland is one of the most important fiddle players of his generation. With his new release, Fiddler’s Dream, Michael Cleveland delivers his finest studio album to date, full of the fire and finesse that has earned him fans from across the globe. 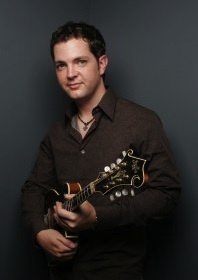 Highlights include a blistering performance of the Arthur Smith penned title track Fiddler’s Dream, a step out vocal from Sam Bush on the John Hartford classic Steamboat Whistle Blues, and a twin fiddle showdown on the Monroe classic Tall Timber featuring Jason Carter (of Del McCoury Band). Fiddler’s Dream also showcases Michael’s masterful guitar playing on Earl Park, and mandolin playing on Blues for Bill, Lonesome Desert, and Earl Park. Additional guests on the new album include Jerry Douglas on Dobro, Jeff Guernsey on guitar, Lloyd Douglas on banjo, Andy Statman on mandolin, Paul Franklin on steel guitar, Vince Gill on vocals, and co-producer, Jeff White on guitar and vocals. Michael Cleveland has undeniably achieved a new personal best with Fiddler’s Dream and in the process, has raised the bar for all aspiring fiddle players to follow. Fiddler’s Dream will be released October 7th on Compass Records. 5. Blues for Bill 6. Where is Your Heart Tonight? Michael Cleveland & Flamekeeper has announced the addition of three new members to the band; Charlie Lawson on guitar and vocals, Ashby Frank on mandolin and vocals, and Blake Bowen on bass and vocals. A native of Indiana, Charlie Lawson helped form his first band in 1994 with the help of his mother and good friend, Vic Rigsby. A few years later, when Rigsby was no longer able to travel due to illness; Charlie renamed the band Charlie Lawson and Oak Hill, with the encouragement of his dear friend. Charlie and his band went on to win several accolades including the SPBGMA Midwest Band of the Year in 2000 and as front man; Charlie won SPBGMA Midwest Entertainer of the Year 2001 through 2003. 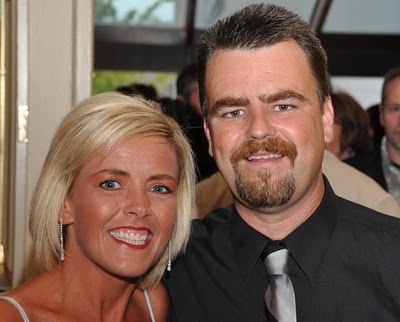 Following his mother’s cancer diagnosis in fall, 2003, Charlie quit the road to help his family and would not return until June 2010 when he received an invitation to work with Karl Shifflett and the Big Country Show. Charlie credits his love for traditional bluegrass to his musical mentors, Flatt & Scruggs, Jimmy Martin and Reno & Smiley, whom he studied and learned the art of singing lead and being an entertainer. Ashby grew up in central North Carolina in the small town of Tyro. By the age of 16 he had already won multiple mandolin contests in the region, including the prestigious championships at Merlefest and Galax. Since the release of his first recording project in 2000, First Crossing, Ashby has extensively toured North America and Europe with artists such as Special Consensus, Marty Raybon, Ronnie Bowman, Alecia Nugent, Jeanette Williams, Melonie Cannon, The Crowe Brothers, and Mashville Brigade. Now making his home in Nashville, Ashby is also an accomplished #1 hit Bluegrass songwriter, session musician, and vocalist. Born into a musical family, Blake Bowen was introduced to bluegrass at a very early age by his father, bluegrass band-leader Jimmy Bowen. 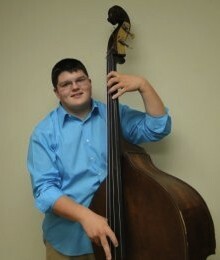 Blake began playing bass at the age of 7 and joined his father’s band just a few years later, touring the bluegrass festival circuit extensively. After his father took a hiatus from the road, Blake continued his love of playing and worked with successful groups such as Grand Ole Opry member Jesse McReynolds, Michelle Nixon & Drive and most recently as the full-time bassist for Randy Waller & the Country Gentlemen. Citing bass influences such as Bob Moore, Barry Bales, Tim Dishman and Tres Nugent, Blake is drawn to both contemporary and traditional bluegrass music, making him a well-versed player in his own right. I’m really excited about adding Charlie Lawson, Ashby and Blake to the band. Charlie is a fantastic traditional singer and player and Ashby is a master of the mandolin. Blake is a real solid bass player and the energy these guys bring to the band is really wonderful. Charlie Cushman and I have worked hard at finding just the right musicians for the kind of traditional music we want to play and I think we’ve found the perfect fit with all of them – Michael Cleveland. 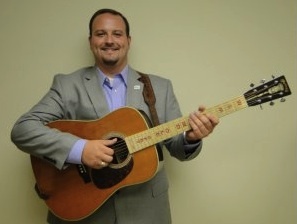 For more information on Michael Cleveland & Flamekeeper, please visit www.FlamekeeperBand.com. 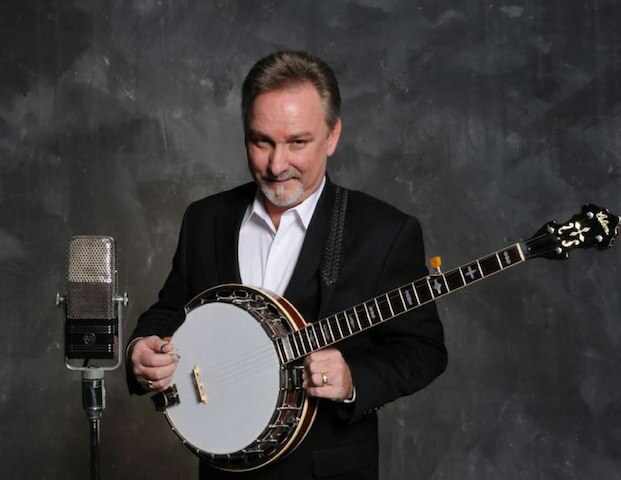 Mike Cleveland and Flamekeeper has announced the addition of banjo master and Nashville session player, Charlie Cushman to the band. 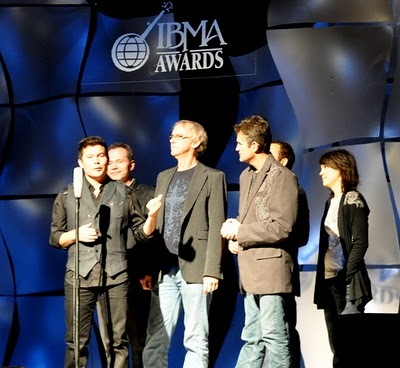 Cushman will take on full-time banjo duties with the IBMA’s 4-time Instrumental Group of the Year effective immediately. Over the years Mike and Charlie have shared the stage many times, and Charlie was Cleveland’s banjo player of choice for his award-winning 2006 Rounder release Let ‘er Go, Boys. I first met Charlie in 1999 when we played with Jeff White at the Station Inn. I knew after that gig that I’d played with one of the best. To have Charlie join the band is a dream come true – Michael Cleveland. I’m so proud and honored to finally get to work with Michael and his band and I’m glad that this opportunity has finally lined up for us. We have a spark with each other musically and I’m more excited about this than anything else I’ve done in quite a while – Charlie Cushman. Charlie will join Mike and the band next month as Flamekeeper kicks off its 2011 season at Nashville’s famous The Station Inn , the same venue where Mike and Charlie first played together. The show will include new material from Fired Up, the band’s next Rounder release, due out this spring. As usual, our mate Ted Lehmann was present at this years IBMA Awards night to capture the evening in splendid hi-rez digital. Ted presents an array of photos on his blog which puts faces to names, and provides us an opportunity, in a small way, to be a part of the evening,Â thanks Ted. Also included in this specacular line up is a photo of The Davidson Brothers, Hamish and Lachlan, (right) presenting the award to Kristen Scott-Benson for Banjo Player of the Year. Last night’s IBMA Awards Show presented a compelling and satisfying selection of winners and musical performances.Â I’ll just post pictures without commentary.Â There are a few pictures I missed because of the conditions, but I’ve tried to cover the ground pretty carefully.Â I’ll have commentary about the nature of awards and the process at some later time.Â Meanwhile, just enjoy the show – Ted Lehmann. All Photos by Ted Lehmann. 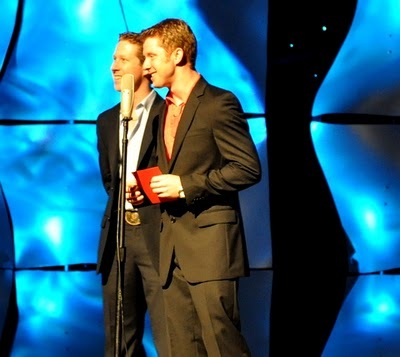 View the event in pictures by Ted Lehmann here. 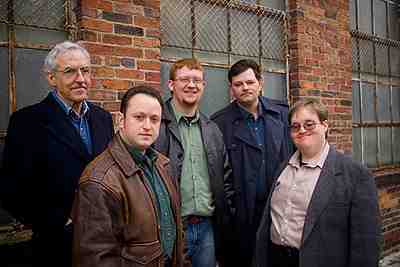 Michael Cleveland and The Flamekeepers website has announced a line up change for their band. Award-winning bluegrass veteran Tom Adams has joined Michael Cleveland and Flamekeeper as guitarist and singer and will debut with the band next month. Tom Adams gained national recognition more than twenty years ago as the banjo player with the legendary Jimmy Martin. 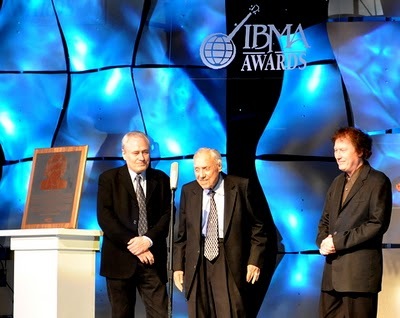 Tom has since received the International Bluegrass Music Association’s Banjo Player of the Year award no less than three times. Tom and Mike previously played together with both Rhonda Vincent and Dale Ann Bradley, and the duo recorded the IBMA-award-winning “Live at the Ragged Edge” in 2004. Tom has also played with Marshall Wilborn in the Johnson Mountain Boys and The Lynn Morris Band. The reunion has all of the band members excited. Tom Adams is one of the most incredible musicians I’ve ever had the opportunity to play with. It is going to be so awesome to work with him again after all these years – Mike Cleveland, Falmekeepers. 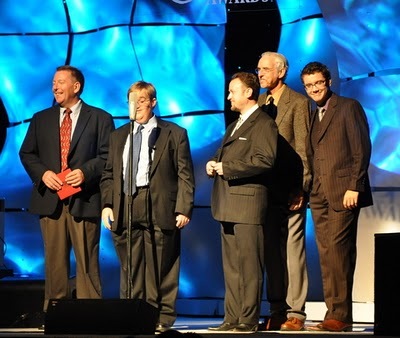 The Flamekeepers are in the running for nine International Bluegrass Music Association awards, this year. It’s the most ever for the band.